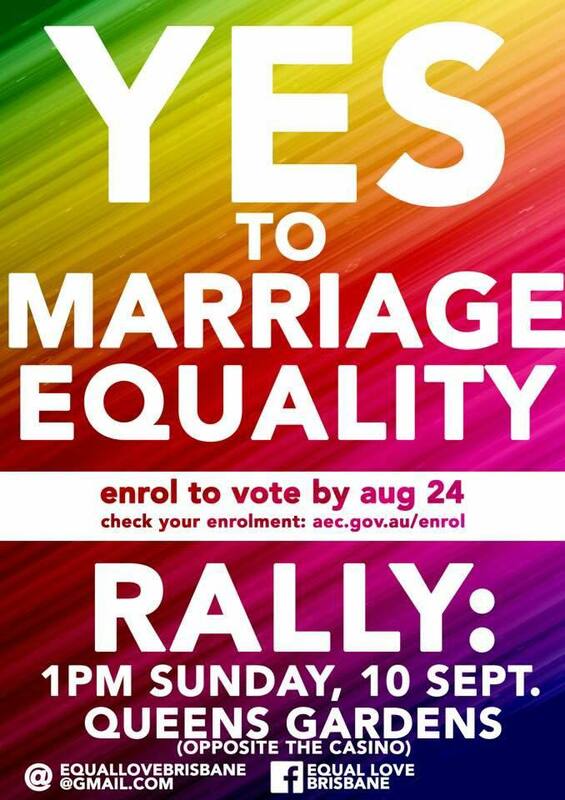 Rally - Vote Yes to Marriage Equality! Big rally to build the "yes" campaign. Queens Gardens, cnr George & ELizabeth Sts, Brisbane.